Here are some of the classic handbooks that will guide you through the myriad of Irish records, repositories and archives. You will find lots of useful information on what has survived and where to find originals and facsimiles. Personally, I've found that these popular texts, and to a certain extent endlessly repeated magazine articles in the popular magazines, are fine for finding records but seem to fall short of giving really good interpretative examples and advice on what to discern when you do finally get your hands on elusive records. Hence the philosophy of this website - lots of advice from my own experience in trying to search cleverly and understand the results better. The images are mostly for the editions I have read but click on any image to take you the Amazon page for further information on the latest editions. Of course all of these titles can be sourced elsewhere, including second-hand. 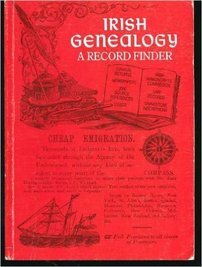 Much of the information in this book is also published on his excellent Irish Ancestors website but I would highly recommend investing in an actual copy of this book as I guarantee you will find yourself thumbing though it often. This is a very good guide to finding your way around Irish sources online and there are plenty of screen shots and worked examples to help you understand the practicalities of wrestling with some of the sites. Chris is an accomplished blogger (see his British GENES blog) which makes for very readable prose. My only criticism is that, as with so many books of this type, there is not much criticism! By that I mean that with several places to access very similar information, it would have been good to have had some comparisons and rating of how good the query and results screens are, but I suppose it's all down to your own personal preference in the end. However, I challenge you not to get more than a few pages in before you find a new site and you will be typing away furiously after that www. prompt! 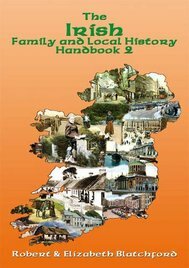 The book consists of a number of articles written by different eminent authors covering the 8 major genealogically important denominations in Ireland - Quaker, Church of Ireland, Presbyterian, Roman Catholic, Methodist, Jewish, Huguenot and Baptist. Each article delves into the history of record-keeping to help us understand the quality and coverage of what survives today and there are plenty of illustrations to help you see what you might have to deal with. There is also lots of invaluable information on where to source surviving records plus bibliographies of further reference works for you to learn much more beyond these compact articles. However, don't be fooled by the "New Edition" cover flash - this book is now 14 years out of date and a lot has happened in that time with improved record availability that you won't really find referenced here. ​This is probably one of those books that you might baulk at the price of a few times, but once you have invested in it, you will find yourself benefiting from its contents more than you thought you would. 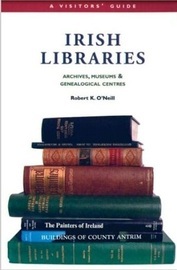 This reference work is styled as a visitor's guide to all the archives, museums, libraries and genealogical centres that are accessible in Ireland. It is organised by county and has a wealth of practical information on locations, holdings, opening times, contact details etc. Undoubtedly some of the information may be out of date given its publication over a decade ago but this has to be an indispensable handbook for anyone planning a research road trip to Ireland. Even if you never buy your own copy but do happen across it somewhere, be sure to read the very short chapter on the origins of the Irish Genealogy Project (IGP) and perhaps we might be a bit more understanding of transcription errors! This book is a good introduction to the shapes of the different layers of Irish genealogical geography. However, if you are expecting an Irish version of Phillimore as perhaps I was, you will be disappointed. There are several simple outline maps for each county covering Church of Ireland, Roman Catholic and, interestingly for Northern Ireland, Presbyterian congregations. There are also maps showing the shapes of other jurisdictions e.g. Poor Law Unions, Baronies, Probate District. However, that's about it - no indexes of surviving records or where to find them. It would appear that the Church of Ireland ones are the subject of another Brian Mitchell book of course - "A Guide to Irish Parish Registers", but I have yet to invest in it myself, and the RCBL online document would appear to be the definitive article. 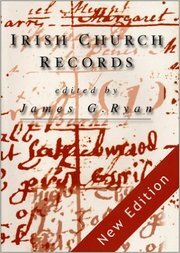 For the surviving Roman Catholic registers, see John Grenham's book above. Some of the maps do try to show more than one layer of geography, for example Baronies and Dioceses, Poor Law Unions and Probate Districts but with no major towns marked at all, it is up to your own judgement really as to which side of the line your ancestors' home fell. 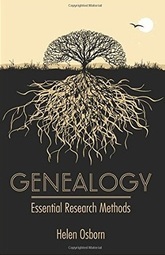 I was recommended this book by a fellow member of the Irish Genealogical Research Society for one particular chapter on the Registry of Deeds written by the incomparable doyenne of Irish genealogy, the late Rosemary ffolliott. Her essay is one of several in this slim anthology with others covering the practicalities of physically accessing wills and admons, newspapers, directories and Irish census returns for example. Yes, the rise of the internet may have made some of the access information superfluous today, but read these essays for a much better understanding of how the records came to be and what to expect to find. The style may be academic but I quite like taking the time to really read and understand about a record category without having to wade through distracting URLs! I managed to buy my copy second-hand on the Amazon marketplace for pennies so go on, treat yourself! 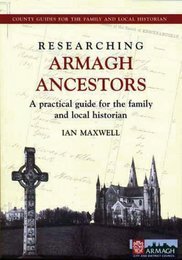 This is a research guide specifically focused on County Armagh which was the ecclesiastical capital of all Ireland for centuries. The book was originally published in 2000 - my own edition is dated 2008 but it's cover is different from the one shown left available on Amazon and it's not clear from the listing whether this is an update? 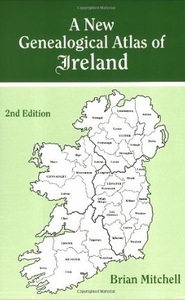 There are some good practical worked examples and plenty of lists and source references - the appendices of townlands and unofficial placenames at the back will be invaluable in getting your Armagh bearings. These magazine format books are an eclectic mix of articles - some on techniques, some on record sources or archives whilst others are very specific essays on highly specialised subjects. 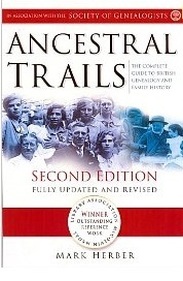 Worth browsing if you see copies at family history fairs to see if your interest is sufficiently piqued. 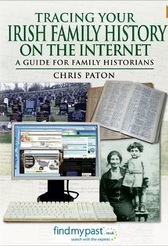 No self-respecting genealogist should be without this mighty tome which does include a short chapter covering Ireland. However, don't forget how much of Ireland's history is entwined with that of their closest European neighbour and so you will find lots of relevant sources for Irish forebears now lodged at the National Archives in Kew e.g. military records. 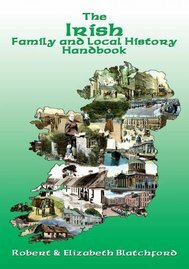 The extensive descriptions of how records came to be are also worth reading thoughtfully as again much local government procedure was established in Ireland by English overlords so no surprise that there are many similarities with the processes in their homeland that it is worth reminding yourself of. 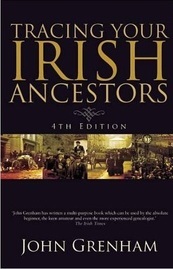 Ok, not strictly speaking an "Irish" research book but as I've preached at length on my blog on my Kindred Ancestry website, this book will really make you think about how to go about first class family history research. Read it once, then immediately read it again and let the great advice sink in! Less "Who Do You Think You Are", more "What Do I think I Know?"